admin May 24, 2018 May 24, 2018 No Comments on How To Fix Video Card Drivers Quickly? Video card drivers that are outdated will make it nearly impossible for you to enjoy video on your PC. That’s because video drivers are crucial components that allow your computer to communicate with your graphics card. They are like bonds that serve as mediators between the computer and the graphics card. This means that if they’re outdated or corrupt, they basically ruin your entire video capability. Let’s go over some of the quickest ways to diagnose and resolve video card driver problems. One tool that generally works to identify video card problems is Windows Aero troubleshooter. You can usually find this Fix It button on Microsoft’s support site, or you can run fix its straight from the Start Menu. The Aero Fix It is essentially a troubleshooter that looks through your system to pinpoint where drivers are missing (or, if there’s a different cause to the problem.) It’s a good idea to run this troubleshooter before you get in too deep in fixing your video card issue. Often, if you have recently installed Windows or installed a new video card into your computer, you will face issues related to outdated or missing video drivers. The result is that you might need to visit the video card manufacturer’s website to find the display drivers that you need. You might have an installation disk that came with your video card. If this is the case, you ought to run this to install the drivers. Here you can figure out the exact type of video card and monitor your computer is running. You also need to know exactly what kind of monitor you have, and whether it’s CRT or LCD. One of the most common problems regarding display settings is when DirectX encounters problems. DirectX powers a lot of video, animation and audio, so if DirectX isn’t working, you’ll notice issues related to your video. You can always run the DirectX Diagnostic Tool to troubleshoot DirectX issues. Another common problem is limited resolutions. If your monitor can’t display the resolutions you need, it’s usually because the graphics drivers aren’t working correctly. There’s usually a generic driver installed, but this generic driver can’t display all of the resolutions that you need. In this case, you absolutely have to find new drivers and install them. Generally, you can find drivers from a manufacturer’s website, but you have to know the exact make and model of your video card, OS, and computer. Also, installing drivers manually can be a bit of a pain in the neck. You have to know how to extract.INF files, and sometimes, the process can be complicated. Add to this the fact that if you accidentally screw up, you could set yourself back even further. That’s why the most effective way to replace drivers is by utilizing driver update software. The right kind of driver update software will actually scan your system and locate old drivers for you. It’ll then replace these old drivers with new ones. If you need to fix video drivers, go with driver update software. 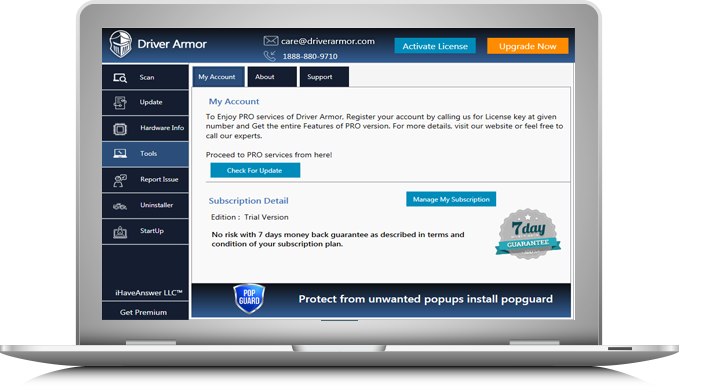 Lot of Driver Update software’s like Driver Armor are available in market to optimize your PC without any hassle.